« Can insurers cope with climate change? Meat and Livestock Australia has published a series of study guides for primary and secondary school students. 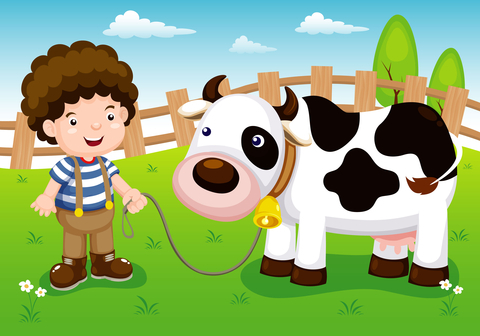 This post focuses on one of the primary school guides, “Cattle and the Environment”, released in 2010. Copyright rules prevent me from showing images from the guide, but in my view, the above image (from elsewhere) gives some idea of the style. As a general comment, I don’t feel that it’s asking too much to expect a study guide to be factual. If it’s not, could there be an ulterior motive? Having said that, I anticipate that many kids studying this topic will be too astute to be brainwashed by industry PR. So in the past some agricultural land was cleared? Former principal scientist with the Queensland government, Gerard Wedderburn-Bisshop [Footnote 1], has confirmed in correspondence that over 95 percent of clearing within the “pasture” category of the government’s Statewide Landcover and Trees Study (SLATS) was estimated to be for cattle grazing. The forests will always be at risk of further clearing, depending largely on the inclination of the government of the day. The recently signed free trade agreement with China is likely to increase pressure for further livestock-related land clearing. Similar problems have been highlighted in the The Pew Charitable Trusts‘ October, 2014 publication, “The Modern Outback: Nature, people, and the future of remote Australia“, in which the authors commented extensively on the destructive environmental impacts of livestock grazing. Problems include tree clearing, introduction of invasive pasture grasses, degradation of land and natural water sources, and manipulation of fire regimes (p. 167-171). The authors highlighted the fact that the environment improves when pastoralists move away from intense grazing activity. While grazing continues, former forest and other wooded vegetation is unable to regenerate. They said a plant-based diet would reduce climate change mitigation costs by 80%. A meat-free diet would reduce them by 70%. Their assessment was based on a target CO2 concentration of 450 ppm. The issue is even more critical when aiming for 350 ppm. Given the reality of broad-scale land clearing for cattle grazing, it seems bizarre that MLA should try to promote its industry as beneficial in terms of “trees and plants” and soil health. Let’s consider the reality of land degradation (including erosion) and loss of habitat and biodiversity. The plight of the Great Barrier Reef provides a stark example of cattle grazing’s destructive qualities arising from soil erosion. I’ve commented further on livestock-related erosion below under the heading “MLA Claim #4 (Carbon sequestration)”. It then becomes a question of the optimum use of the water, taking into account potential alternative uses. Prof. Meyer has pointed out that water used for irrigation has many alternative uses, including keeping it in the river systems, keeping riverine and wetland ecosystems healthy and providing water to urban and industrial uses. He has noted that alternatives for rain fed areas are more restricted, but could include provision of run-off in catchment areas, growing native vegetation for conservation purposes and or for groundwater recharge. In areas where crops for human consumption can be grown, there are high opportunity costs in meat production, with the nutritional output of plant-based foods generally being many times that of meat for any given quantity of water. If we were to adequately value natural ecosystems, then allowing rain-fed, natural vegetation to be consumed by introduced cattle would carry an extremely high price. By definition, natural grasslands would exist in the absence of cows who are members of an introduced species, force-bred in massive, unnatural numbers by the farming sector. In any event, those grasslands are severely compromised by grazing pressures. Gerard Wedderburn-Bisshop highlighted the impact in a 2012 radio interview. He referred to the “fence line effect” in northern Australia (where around 70 percent of Australia’s beef is produced), whereby bare ground often exists on one side of a fence, while on the other there is knee-high native grass. The bare side is typically owned by a pastoral company seeking to maximise its financial return. It will have increased stocking rates during times of favourable rainfall, then taken too long to reduce those rates during drought. The land becomes degraded, and carbon stores significantly depleted. The problem was also highlighted in the Land Use Plan (of which Wedderburn-Bisshop was a co-author) produced by climate change advocacy group, Beyond Zero Emissions (BZE) and the Melbourne Sustainable Society Institute of The University of Melbourne. 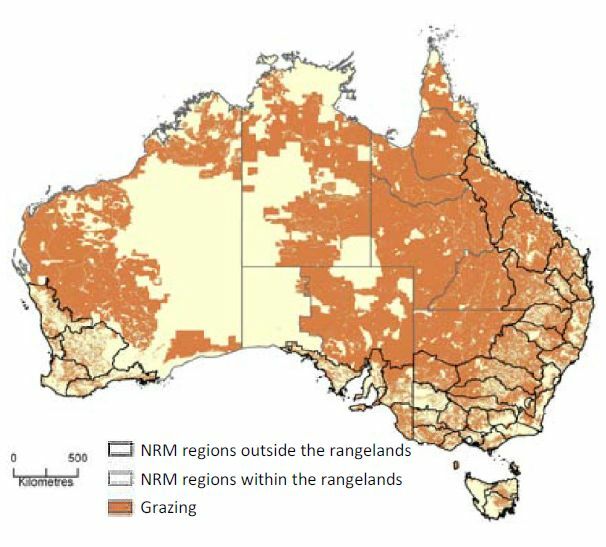 BZE pointed out that soil carbon losses from Australia’s agricultural land due to wind and water erosion are greatly accelerated by the removal and disturbance of vegetation. They said that 80 percent of such emissions came from rangeland grazing areas. I thank MLA for that information. The forced and selective breeding of food production animals for increased population size and accelerated growth has greatly increased the overall animal biomass and related greenhouse gas emissions. Let’s look at the global biomass of three species used in MLA’s comparison; cattle, giraffes and wildebeest [Footnote 2]. Giraffe numbers have plummeted forty percent in the past fifteen years, with only 80,000 remaining in the wild. 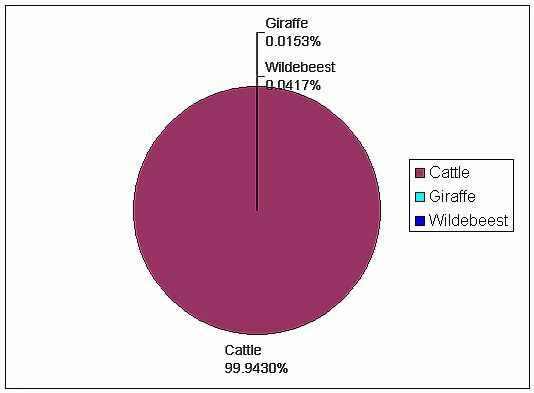 The global cattle population is nearly 19,000 times the size of the giraffe population. However, because of the giraffe’s larger individual size, the cattle population’s biomass is “only” around 6,500 times the size of the giraffe’s. At 2,400 times, the comparison with wildebeest is not as significant, but extremely significant nonetheless. Based on my calculations, cattle represent more than 70 percent of global ruminant biomass. Sheep, goats and buffaloes represent less than 20 percent combined, while the greatly maligned wild camels in Australia represent less than 0.1 percent (or less than one 700th the cattle biomass). Another key point is that rainforests and other natural environs are not cleared in order to create pasture and crops to feed giraffes or wildebeest. That issue has been referred to earlier in relation to cattle. It sounds wonderful, doesn’t it? If only it were true. The problem is that much of the carbon emitted by ruminant animals is in the form of methane, whereas carbon dioxide is the greenhouse gas absorbed by plants through photosynthesis. 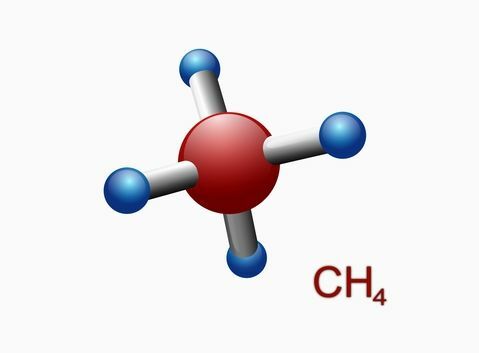 Perhaps MLA could provide the students with an image of a methane molecule (CH4), containing one carbon atom and four hydrogen atoms. Although methane contains carbon, it is not carbon. It’s bad enough that the PR machines of industry groups such as MLA seek to manipulate the thoughts and actions of adults. However, trying to do the same to children via publications masquerading as legitimate educational tools is unconscionable. As unfortunate as it may seem, the ability to remain alert to misinformation from government and industry sources, along with their allies in the media and elsewhere, is a critical skill in our modern society. 1. Gerard Wedderburn-Bisshop is a former principal scientist with the Queensland Government Department of Environment and Resources Management Remote Sensing Centre. He is currently a director and lead scientist with the World Preservation Foundation and was a researcher on Beyond Zero Emission’s Land Use Plan as part of its ZCA2020 project. 2. Because of their longer lifespan (as they are not routinely slaughtered at a young age to the same extent as “traditional” livestock animals), I have used the adult weight of the giraffe and the wildebeest in the comparison. I have only used seventy percent of a cow’s slaughter weight, as the younger animals represent a larger proportion of the population than in the case of the giraffe and the wildebeest. On the same basis, I have used 85% of goats’ and lambs’ slaughter weight, as they are generally slaughtered at a younger age than cattle. I have assumed the number of giraffes in captivity is low relative to the number in the wild. 3. 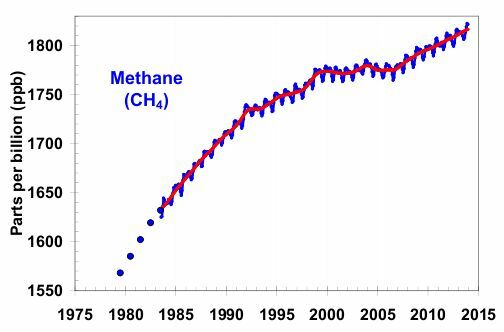 More background on methane’s impact can be seen on my page “GWP Explained“. 17th May, 2015: Reference to Meat and Livestock Australia as a peak industry body deleted. Derived from Russell, G. “The global food system and climate change – Part 1”, 9 Oct 2008, http://bravenewclimate.com/2008/10/09/the-global-food-system-and-climate-change-part-i/, which utilised: Dept. of Sustainability, Environment, Water, Population and Communities, State of the Environment Report 2006, Indicator: LD-01 The proportion and area of native vegetation and changes over time, March 2009; and ABS, 4613.0 “Australia’s Environment: Issues and Trends”, Jan 2010; and ABS 1301.0 Australian Year Book 2008, since updated for 2009-10, 16.13 Area of crops. Also, in terms of overall land clearing, reference , p.232. 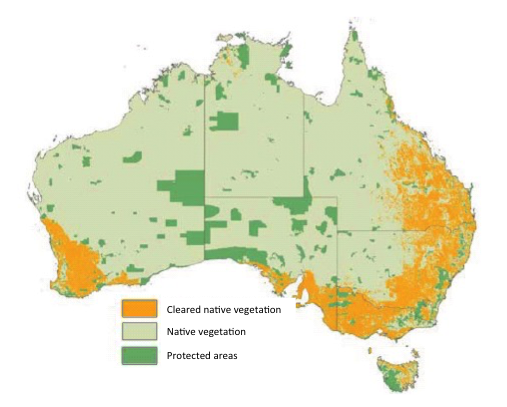 Map – National Biodiversity Strategy Review Task Group, “Australia’s Biodiversity Conservation Strategy 2010–2020”, Figure A10.1, p. 91, http://www.environment.gov.au/system/files/pages/50e1085f-1ef9-4b25-8275-08808133c346/files/biodiversity-conservation-strategy2010-2020.pdf. Other information derived from Russell, G. “The global food system and climate change – Part 1”, 9 Oct 2008, (http://bravenewclimate.com/2008/10/09/the-global-food-system-and-climate-change-part-i/),which utilised: Dept. of Sustainability, Environment, Water, Population and Communities, State of the Environment Report 2006, Indicator: LD-01 The proportion and area of native vegetation and changes over time, March 2009; and ABS, 4613.0 “Australia’s Environment: Issues and Trends”, Jan 2010; and ABS 1301.0 Australian Year Book 2008, since updated for 2009-10, 16.13 Area of crops. Derived from Lindenmayer, D. and Burgman, M., op. cit. Thank you for giving us the “TRUTH”, Paul. Your efforts at informing the public on this urgent issue, are formidable, and greatly appreciated. Thanks for your feedback, which is greatly appreciated.